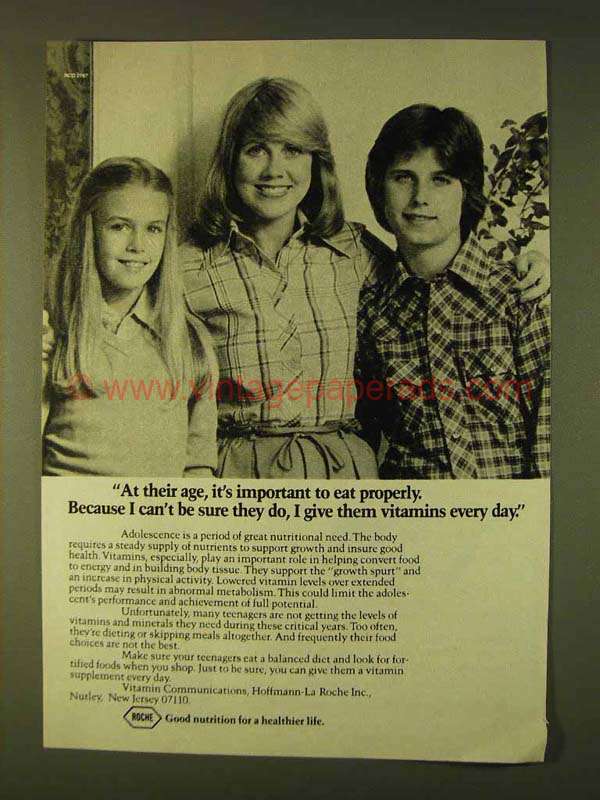 This is a 1979 ad for a Roche Vitamins! The size of the ad is approximately 5x7.5inches. The caption for this ad is 'At their age, it's important to eat properly. Because I can't be sure they do, I give them vitamins ever day' The ad is in great condition. This vintage ad would look great framed and displayed! Add it to your collecction today! 1987 Roche Beta Carotene Ad - Just Another Health Fad?